In large bowl, combine all ingredients; mix well. Cover; refrigerate at least 1 hour before serving. The “heat” of a chile quickly transfers from the seeds and membrane to hands, and it can irritate your skin. When working with chiles, wear gloves and use a knife and fork. Do not touch your face, especially your eyes and lips, while you are working with chiles. 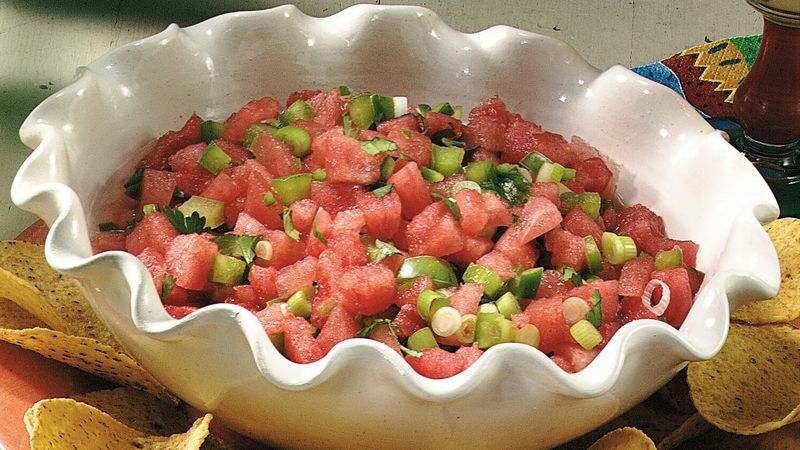 Serve this sweet-hot salsa with grilled fish or Fish Tacos.